EVERYTHING YOU NEED TO ACE THE ARRT[registered] COMPUTED TOMOGRAPHY EXAM (CT) EXAM IN ONE COMPLETE PACKAGE! 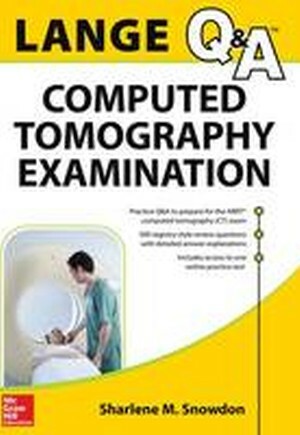 Written by an experienced program director who knows what it takes to excel, LANGE Review: Computed Tomography Examination is designed to boost confidence, test-taking skills, and knowledge for anyone preparing for the exam. Bolstered by nearly 500 registry-style questions with detailed answer explanations, this essential guide also includes valuable background material - covering everything from eligibility requirements to test-taking tips. You will also find two comprehensive practice exams within the text and online. It all adds up to the single-best way to increase your chance of success on the CT Exam. In this book, chapter-ending practice questions assess your knowledge of essential concepts, and two comprehensive practice exams -in the book and online - to improve your confidence. It includes 495 registry-style questions with complete explanations for each answer. An informative introduction includes test taking tips, clinical experience requirements, content specifications, and certification eligibility requirements.